With so many noteworthy things happening in the Columbus food scene, it’s easy to overlook some of the incremental changes and other, somewhat quieter news. It’s also inevitable that some of the bigger news to the back of the queue. With this new occasional series, Quick Bites, we intend to address those problems by providing a timely list of quick, bite-sized updates on food happenings around town and tell you about some of the new dishes and places that we’re excited about. • First up is breakfast at Pistacia Vera, one of our fabulous dessert tour partners. 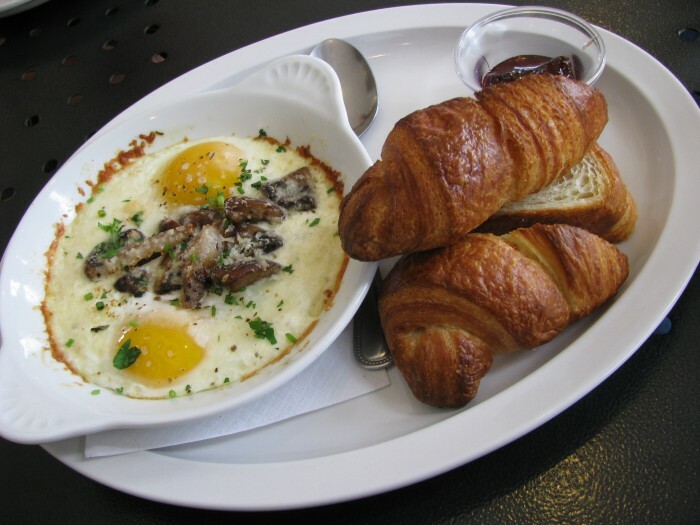 In the past, Pistacia Vera’s breakfast offerings consisted largely of pastries and coffee (they’re open daily from 7am), but now you can also get a delectable dish of savory shirred eggs in a variety of tempting flavors. For those who aren’t familiar with the term shirred (we’ll admit it, we weren’t! ), it means baked eggs or, in French, oeufs en coquette. The eggs are topped with cream and Parmigiano-Reggiano and baked until the whites are set but the yolks still runny. They are cooked to order and take about 8 minutes. Toppings, during our most recent visit, included asparagus, truffled fingerling potatoes, mushroom and shallot and tomato fondue. This deliciously decadent dish is accompanied with a toasted croissant (the perfect yolk-dipper) and some house-made preserves. Pistacia Vera’s preserves – also a relatively new offering for them – are all house-made in small batches (12 jars at a time) using a traditional french copper preserving pan. Flavors vary with the season but include such delights as blueberry key lime, blood orange cardamom, berry Chambord, pear Ceylon and strawberry Beaujolais. 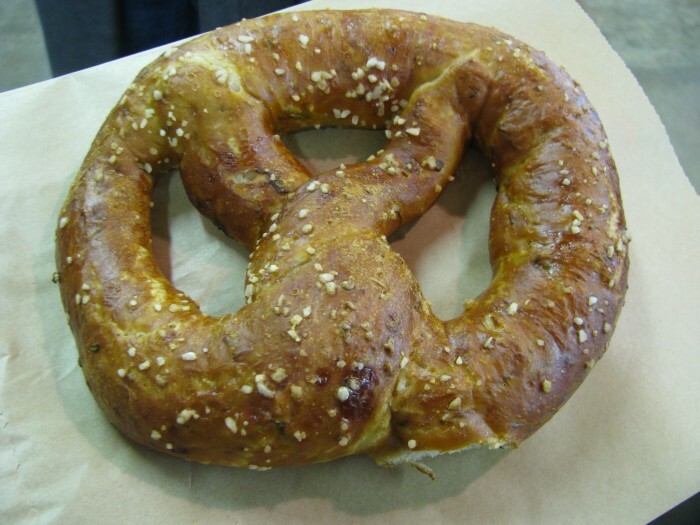 • Brëzel hand rolled Bavarian-style pretzels has been around since 2009, though until recently you’d have to find them at farmers markets and other events, or purchase through mail order. Now the owners, Maria and Brittany, have achieved their ambition of having their own retail store and are the newest vendor at the North Market. Their soft pretzels make for a delicious snack and come in a variety of sweet and savory flavors from habanero to kalamata olive and artichoke to cinnamon sugar. I love the rosemary and garlic. Brëzel also sell pretzel buns and twists. Stop by, and if you’re lucky you can try some fresh out of the oven! • Brëzel’s neighbor at the North Market is Clever Crow pizza (which was featured on Anthony Bourdain’s No Reservations). Clever Crow has been operating out of Circus Bar (1227 N High Street) in the evenings since late 2009, but now you can eat their pizza for breakfast(! ), lunch and dinner. Clever Crow is not your average pizza – their crust is a crispy mix of local cornmeal and sourdough, and their topping combinations are both surprising and creative. 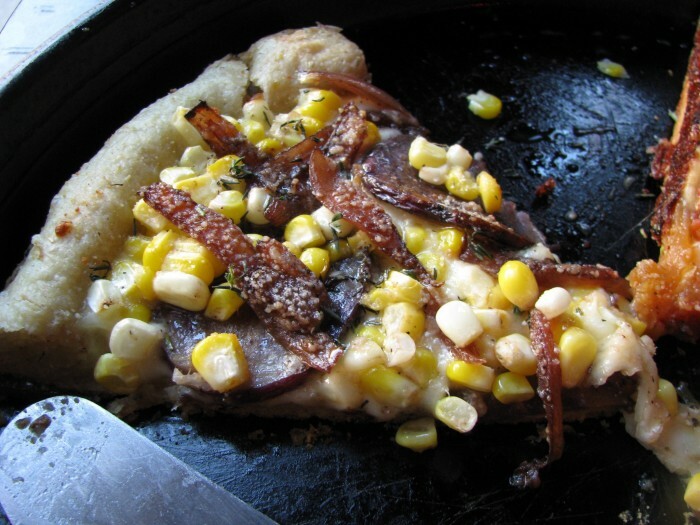 For example, their new corn pizza with mozzarella, house smoked provolone, corn, salsa fresca, fresh green onions and optional chorizo. The breakfast pizza (scrambled eggs, mozzarella, fontinella, potato, bacon, caramelized onion and chives) is a hearty and happy way to start the day. The menu is small and changes with the seasons but there are always great options for meat lovers and vegetarians. Clever Crow continues to operate out of Circus as well, and at their new market location they also offer take-and-bake pizzas and salads. 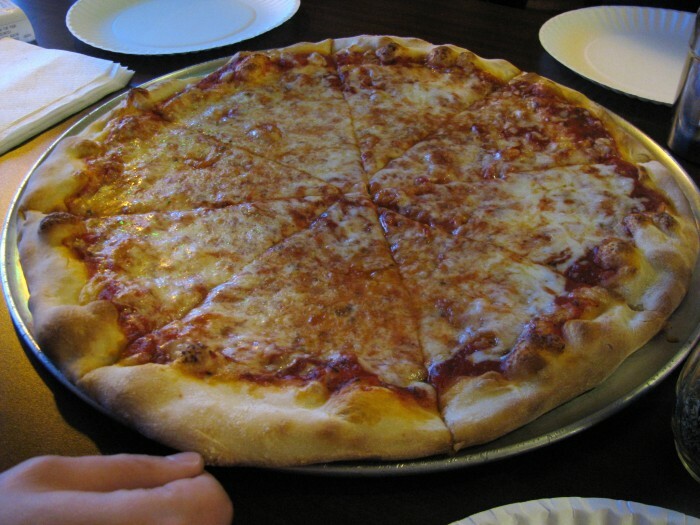 • Brooklyn Pizza in Powell aims in a very different direction – the traditional east coast pizza – and, according to the east coast transplants we’ve talked with, hits the target dead center. They’re mostly a carryout, with seating for 8, and have been doing brisk business doling out both pizzas and ‘dislocation commiseration’ for Columbus’s east coast transplant community. With great crusts, tangy sauce, and quality cheese, we’d recommend checking them out to see if the floppy slice phenomenon strikes a chord with you. • Brother’s Drake Meadery has now moved to the Short North and are located next door to Middle West Spirits close to 5th and High. They have a lovely tasting space and are hosting an open house this Wednesday (March 30th) 6-10pm. If you haven’t tried their mead you really should. They have a range of interesting flavors such as bergamot blue and my favorite honey oak. • Columbus Asian Market (CAM) has moved into Sunflower’s old digs on Bethel Road. It’s now by far the biggest Asian market in Columbus and offers an impressive range of products in a supermarket squeaky clean atmosphere. 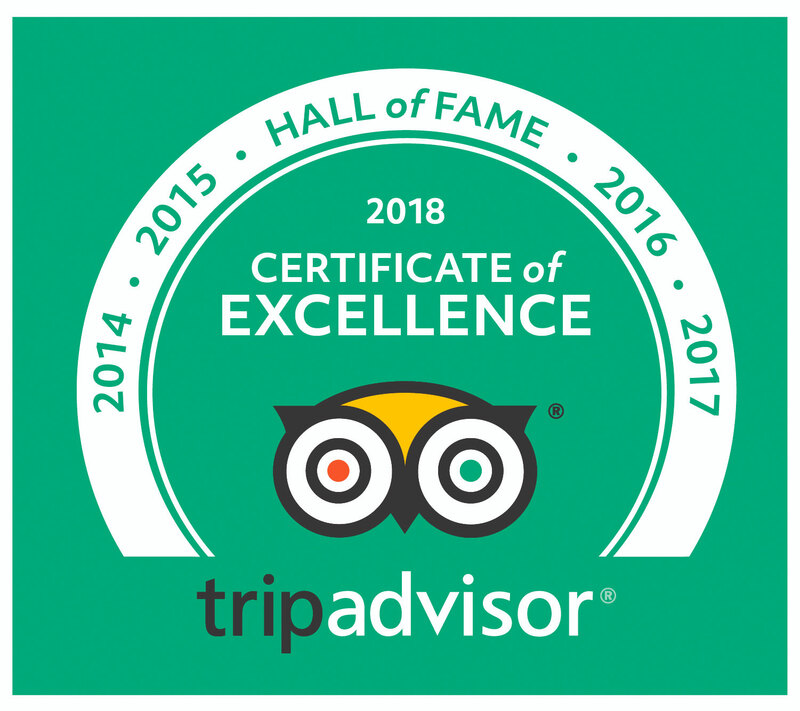 • The Alt Eats team has been busy eating and exploring, and new posts include Yummy Bakery (Persian), Tea Zone (Korean) and the impressive weekend buffet at Imperial Garden. As always we welcome suggestions of new places to check out. • Dine Originals now has over 50 member restaurants. Their next gift certificate release will happen on April 5th. With 30% off gift certificates it’s a great excuse to try somewhere new or revisit an old favorite. • You can tell it’s spring – the Taco Trucks Columbus team has already begun checking out the new taco trucks that inevitably sprout up once we’ve (hopefully) put the snow behind us. And, it’s no coincidence that our taco truck tour starts back up next weekend (Sunday, April 3rd, at 4:00pm). Join us to explore the Mexican delicacies of the West Side. Great post! Thanks for the tip on Brooklyn Pizza. Hubby will want to check that out… heck, I do, too. As always, your food photos, Bethia make my mouth water. Larry and I were just talking last evening about wanting to get back to Columbus and take in an Alt Eats tour. We still have fond memories of our Taco Truck Tour experience, and definitely plan to do that one again, also. So many great tips in this post! I didn’t know about Pistacia Vera doing brunch. Looks incredible. And Brooklyn Pizza looks like it might be worth the drive. Great stuff as always, guys!